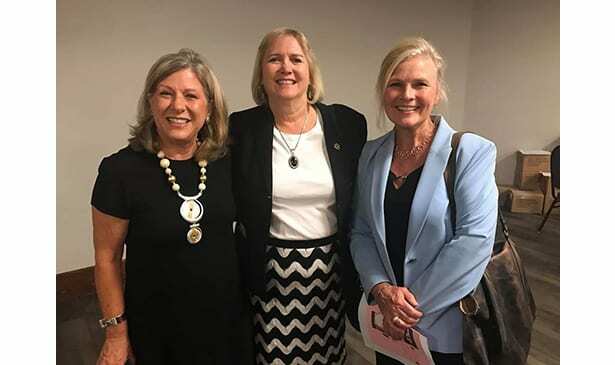 Event coordinator, CAC Office on Aging Director Susan Long stands with Senator Becky Massey and Knoxville District Attorney General, Charme Allen who were among the attendees dining and enjoying the evening. raising over 50,000.00 dollars. A smaller five dollar sale was held the following week which helped pushed the final totals over 50K. 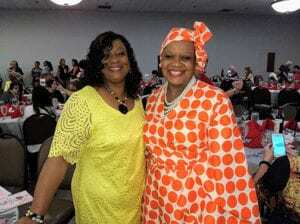 The event also set an attendance record as 500 tickets were sold to the prestigious event which was held at Rothchild’s Banquet Hall. Hosted by the CAC Office on Aging, the event raises funds to feed seniors in Knoxville/Knox County thru it’s Mobile Meals program. 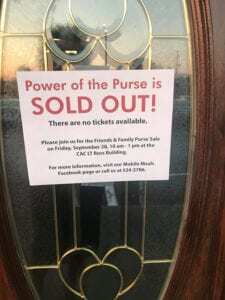 There was live music, a banquet, and purses valued in the thousands that participants could buy or bid for. CAC SNAP Director Alice Allen were among the 500 guest. meal is delivered on Monday. The hot meals, complete with a nutritious drink and a fruit are delivered daily by a volunteer. Many times the volunteer is the seniors only human contact and the daily visit also provides a wellness check which has proven to be a life saver on several occasions. Funds raised from this years event will help feed almost 1000 seniors in the coming year.